In the War Diary of the 8th Devonshire Regiment is a report of an action at Bullecourt on May 9th 1917. In it the writer mentions egg bombs, as shown below. Presumably the German egg bombs were smaller and therefore easier to throw than the British Mills bombs. But what was the writer anticipating when he states "the issue of our new egg bomb will be a great asset"
Was such a bomb ever issued? 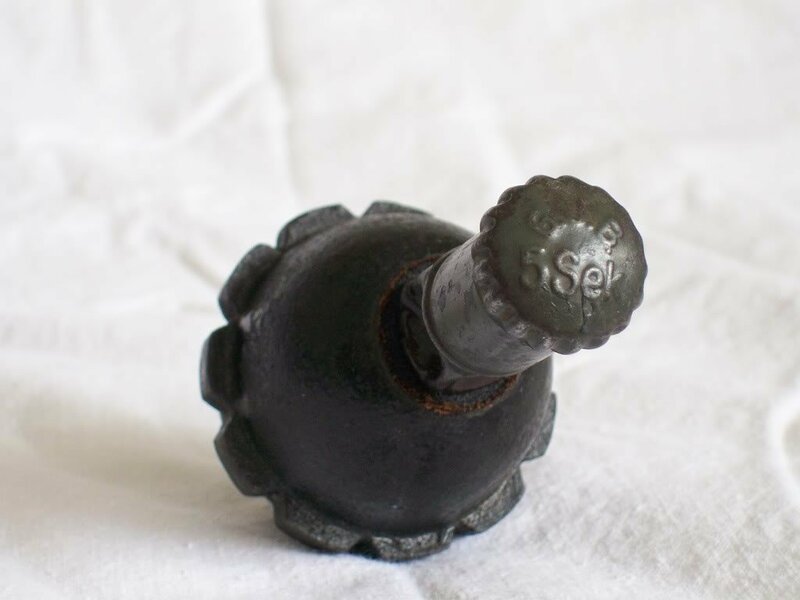 No.34 MKIII egg grenade was introduced into Service fourth quarter of 1917. First deliveries of a trial batch of 10,000 were sent out mid-September, then first mass production deliveries to the front commenced around mid-December. 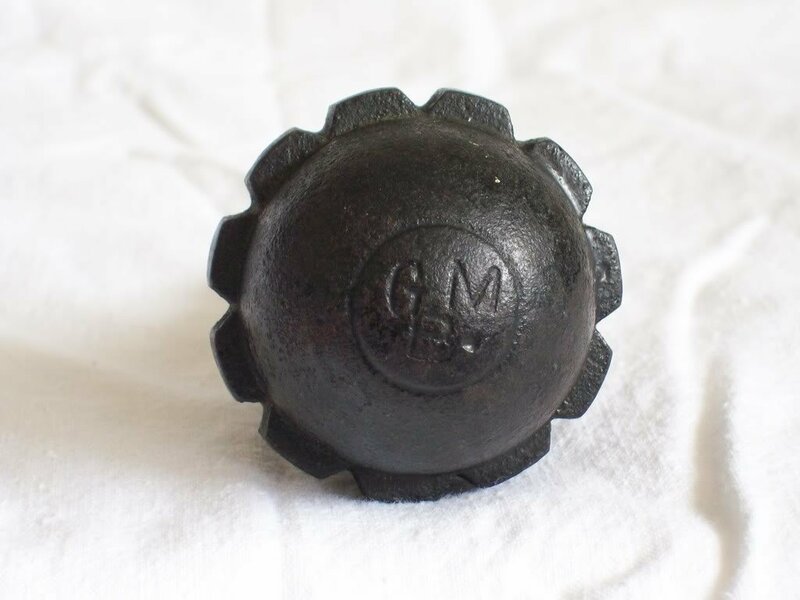 The German egg grenade was able to greatly out range the Mills and other British grenades most of which had an average thrown range of 30 yards. 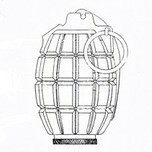 The German egg grenade could be thrown 50 yards. The No 34 was brought in to redress the balance and was quite effective for its size. The German egg grenade was not as effective. It had a black powder charge and had a poor shrapnel effect. Siegfried Sassoon was famously near one when it exploded and it hardly touched him. 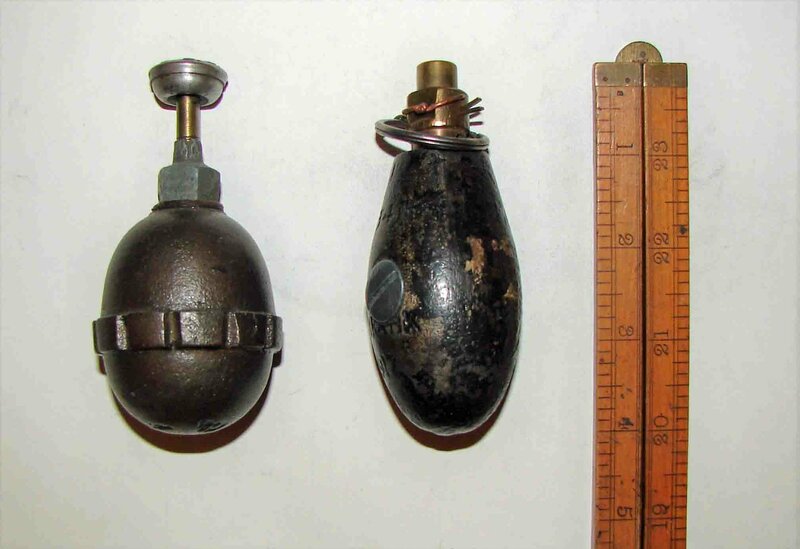 The German egg grenade had the same fuze fitting as the Kugel grenade and there were two main types of fuze but others were fitted to a lesser extent. Here's a photo showing the various types, smooth bodied, flanged and the different fuzes and transit plugs. The most common fuze is top left one and two. Second commonest is the third from the left. Fourth from left is and artillery instantaneous igniter which could have been used as a booby trap but there is little evidence to prove that. It just has the same fitting. The fuze top right was brought in in 1917. Thanks for that - I was not aware of this. Everyone is familiar with the Mills bomb, so by comparison how many of the type 34 grenades were manufactured compared with the Mills bomb? Around 1.3 million filled No.34 MkIII were produced up to the Armistice. 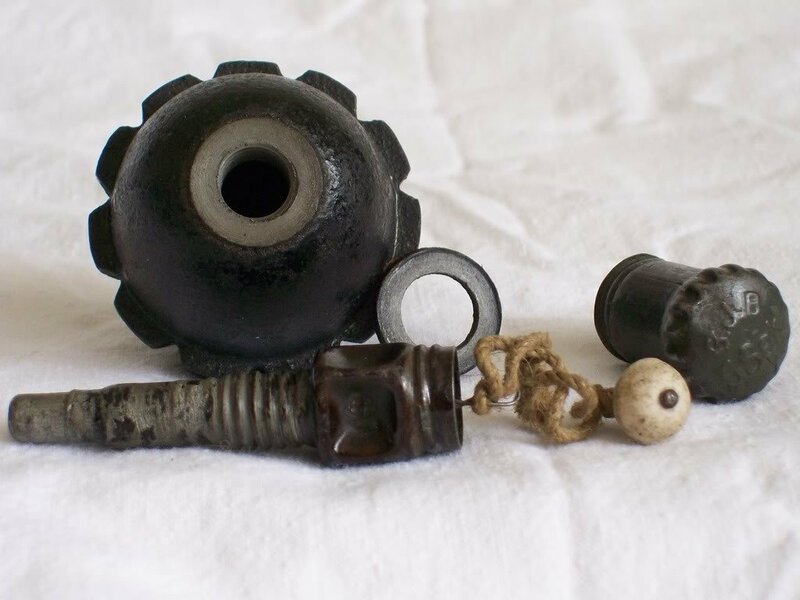 Deliveries of empty grenades continued to be made up until January 1919 but numbers were small and included the modified egg, the MkIV, which had a cast ridge around the middle of the body to make it easier to grip. 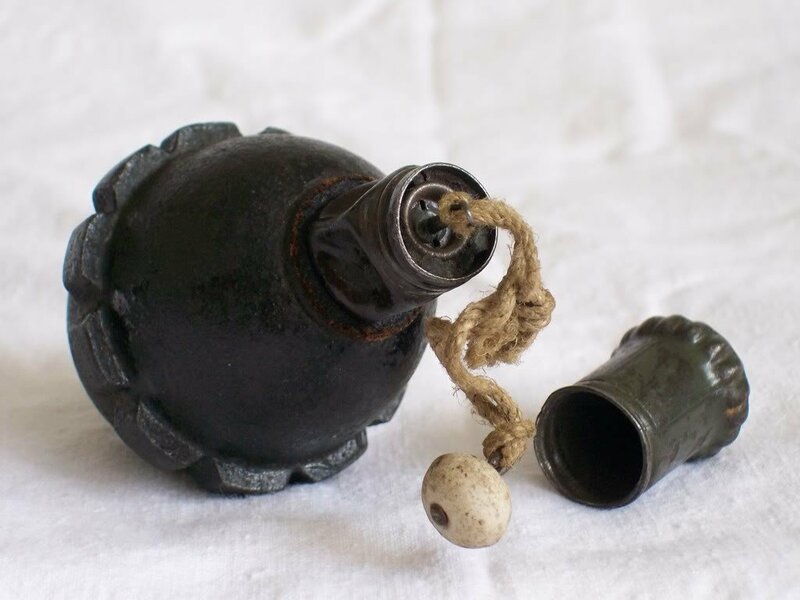 The commonly accepted number of Mills grenades made in the Great War was 75-76 million. Edited 11 April by Hans k.